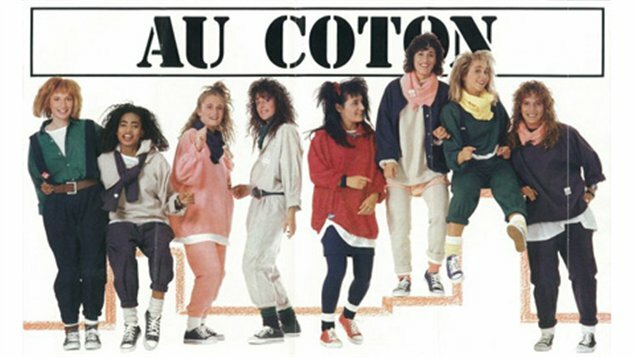 Please tell me you remember the Au Coton clothing fad of the ’80’s – the decade with the best music and cult-classic movies yet the WORST hair and clothing styles. Seriously, look at these girls…. And I looked just like them from about 1986-1989. To call this brand of slouchy, layering clothing style an obsession would be an understatement. My poor parents. On weekend shopping trips to West Edmonton Mall, I would drag them into this store so I could basically buy the same set of clothes I already had, just in every color. (Okay, okay – I still do this. If I love something I buy it in multiple colors, what’s wrong with that?) But look at this! Woowwwwww. So sorry I don’t have any pics of me these awesome frocks. Next time I’m at my mom’s I’ll try to find some. You will be flabbergasted.